I love birthday parties. From Alice in Wonderland teas as a child, to bars full of friends as a twenty something, to lovely intimate dinners with girlfriends I have had some very wonderful birthday celebrations. 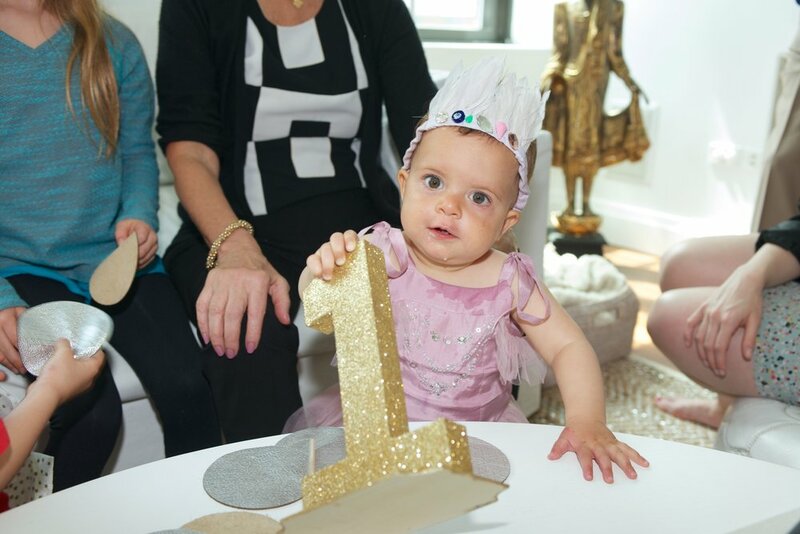 However, none of my own birthday celebrations could ever top the feeling of my baby girl turing 1! I woke up giddy with excitement on April 27th and snatched Hermione from her nursery so we could start playing! 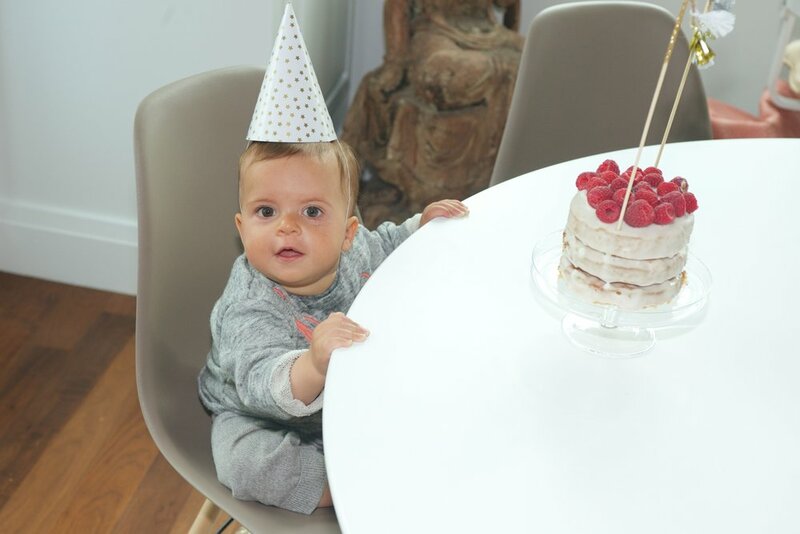 From the moment I found out I was pregnant I have been excited for the years of birthday party throwing ahead! So excited, that I began planning Hermione's first birthday party before Christmas! It was important to me that we end this amazing first year as a family of three with a celebration worthy of my wonderful little girl. I wanted to throw her a party that was casual but elegant, fun but low key, indulgent but healthy. It was also very important to me that the party be in our home- I wanted Hermione to be as comfortable and at ease as possible. After months of planning Hermione's first birthday party was everything I could have hoped for. Everyone had a great time, little ones and adults alike! Thanks to the amazing party styling of Sissy + Marley our home looked beyond beautiful and very festive. 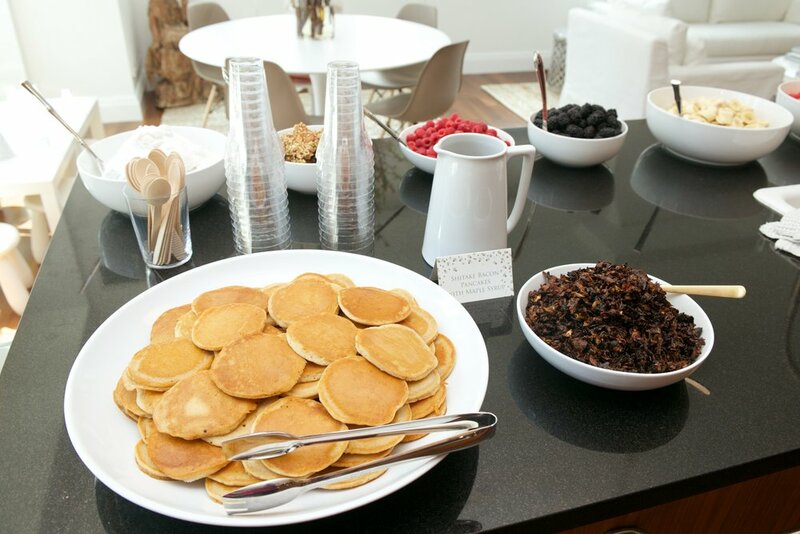 My dear friend Aimee of Sun In Bloom created a brunch spread that I am still dreaming about. I truly cannot imagine a better way to have celebrated Hermione's first year! The food at Hermione's party was not typical kids party fare. As always it was important to me to feed my guests the way I feed my family. Clean, health promoting and plant based. Aimee and I collaborated on a menu that while entirely vegan pleased each and every omnivore in attendance. 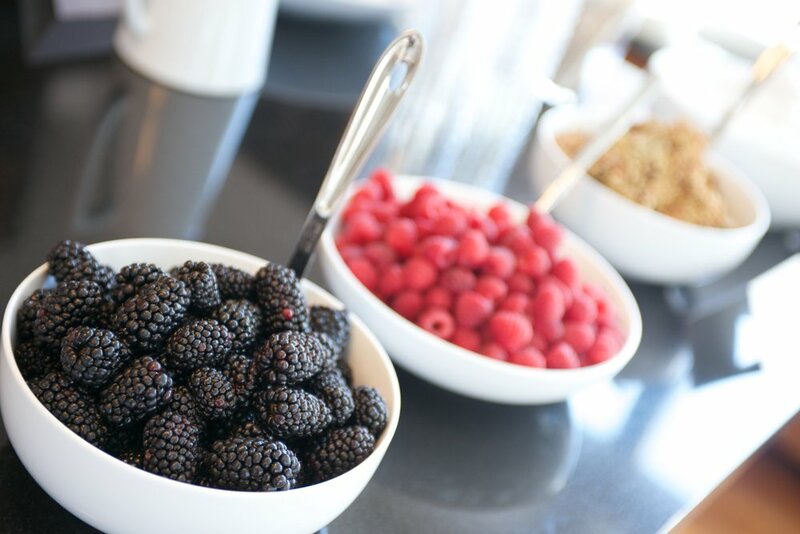 Guests were able to make their own granola parfait choosing from a selection of fresh fruit, coconut kefir and Aimee's house made granola. We also served Tempeh Rubens's and Shitake Bacon BLT's ( my favorite!!!) 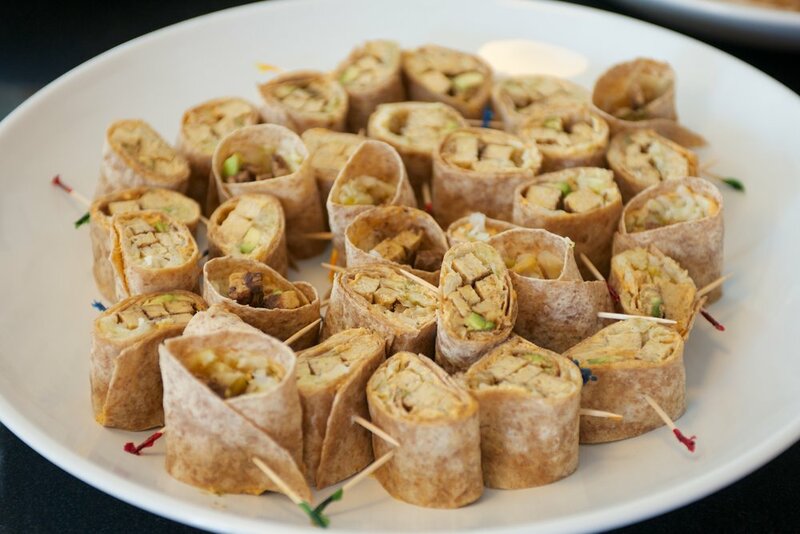 in both collard and sprouted grain wraps. The gluten free pancakes with shitake bacon and maple syrup we particularly popular! For dessert we served mini lemon and lemon raspberry cupcakes. To make sure we got photos of all of our guests we created a fun photo booth using a blank wall, sparkly props and a tassel background. Everyone really got into it! For entertainment for the little ones we had Hermione's favorite music teacher come and play in her new playroom. The birthday girl really got her groove on! Doug and I both felt strongly about not having a big "Happy Birthday" signing, cake eating moment where Hermione was the center of attention. We did not want to put her on display, overwhelm her and potentially make her cry. We served mini cupcakes for our guests at the party and then gave Hermione her little (vegan, sugar free, gluten free) birthday cake at dinner time. As expected of my fruit and veggie loving baby she passed over the cake entirely. Instead she shoved the raspberries decorating the top in her face! She loves berries! After a long day of celebration with friends and family it was very special to have a quiet moment just the three of us to celebrate Hermione's first year.